A political leader and a fierce warrior, Red Cloud, chief of the Oglala Sioux, fought unsuccessfully to save his people and their land from being seized by whites. Born in 1822 in what was then Nebraska Territory, Red Cloud was named Mahpiua-Luta at birth. He became a chief after showing leadership and bravery in battles against the Oglala's traditional enemies, the Pawnees, Crows, Utes, and Shoshones. He also divided the Oglala by killing the rival of his uncle, another tribal leader. When white settlers discovered gold in Montana in the early 1860's, they began to build a road from Fort Laramie in present-day Wyoming to the gold fields. They also constructed a series of forts to protect the road, which became known as the Bozeman Trail. Starting in 1865, Red Cloud led the Oglala and the Cheyenne in a war against white soldiers, miners, and settlers on the Bozeman Trail. After a two-year fight, Red Cloud and his soldiers forced the U.S. to abandon its forts and stop building the road. At the end of the war, Red Cloud signed the Second Treaty of Fort Laramie. In the treaty, the U.S. promised it would abandon the Bozeman Trail. The U.S. also gave the Lakota Sioux possession of what is now the western half of South Dakota, along with large parts of Wyoming and Montana. Red Cloud agreed to stop fighting, and moved onto a reservation in Nebraska known as the Red Cloud Agency. Once a warrior, Red Cloud now served his people as a diplomat. In 1870, Red Cloud visited Washington along with other Native American leaders, and met President Grant. 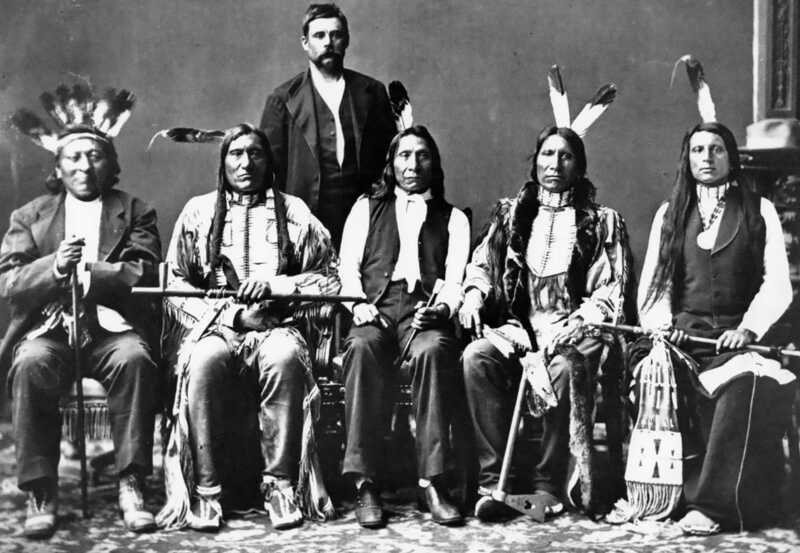 Red Cloud met with Grant again in 1875, when Grant offered $25,000 to the Sioux if they would give up their rights to hunt along the Platte River in Dakota Territory. On behalf of their people, leaders Red Cloud, Spotted Tail, and Little Wound refused. 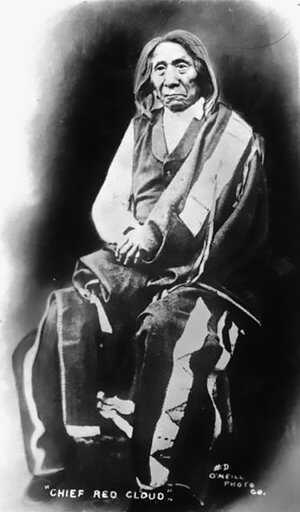 Despite Red Cloud's peaceful negotiations, other Indians, including Red Cloud's son, still wanted to fight for their territory and way of life. 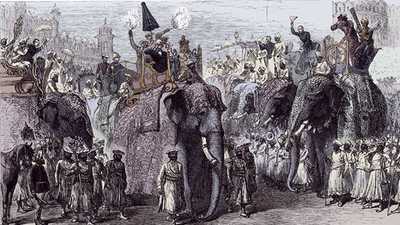 President Grant tried to avoid war, but this proved impossible. After Sitting Bull's total defeat of General George Armstrong Custer's Seventh Cavalry in June 1876, whites began an aggressive campaign against Native Americans in the West. But Red Cloud resisted the call to war. After moving to Pine Ridge Agency in 1878, Red Cloud lobbied the Indian agent there for better treatment. Eventually, he succeeded in having the agent dismissed. Red Cloud visited Washington a number of other times to lobby for his people, as activists like Mary Bonney worked to help Native Americans improve their rights. Red Cloud continued his work to preserve Indian lands and to maintain the authority of traditional Native American leaders. Several years before his death, Red Cloud converted to Christianity and changed his first name to John. He died on the Pine Ridge Agency in 1909. Ulysses S. Grant's father made a living tanning leather. 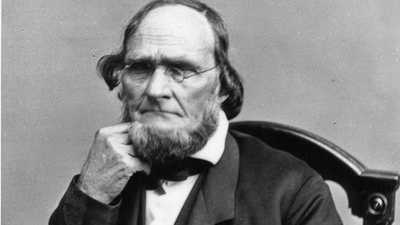 He married Hannah Simpson at age 27. 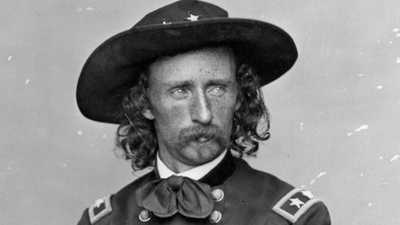 Custer led little more than 200 men in an attack on the Sioux Chief Sitting Bull's camp on Montana's Little Bighorn River. When Grant left with his family for a world tour in 1877, he had more than rest and relaxation in mind.